Unfortunately Extracta are no longer trading, which leave many of it’s customers without any back up service. Here at Alltec we can provide servicing and repairs for the Extracta carpet cleaning machines. The Extracta carpet cleaning machines were built in the UK with marine fibreglass bodies, much like our portable machines, so they are great looking machine and if looked after they will last you for many years! Many of the spare parts for the Extracta carpet cleaning machines are compatible with the spare parts used on the Alltec carpet cleaning machines. There may be some occasions where a little bit of adapting needs to be done but we guarantee we will only do this if it will match or improve the performance of the Extract carpet cleaning machine. If you would like to know more about what can be done with your Extracta carpet cleaning machine then please complete the details below and we will contact you to discuss your equipment and possible book a time for you to bring your Extracta carpet cleaning machine into Alltec for our engineers to take a look at. Complete your details below and we will contact you about your Extracta Carpet Cleaning Machine. If you would like us to call you to discuss your Extract Carpet Cleaning Machine and what we can do with it, please include your phone number below. Hi Gurdip, yes we can help you by putting it on our pre-owned page. If you could email us some photos and your sales price, we will get it listed. There is no fee for this service, all we ask is that potential buyers contact you direct – we do not participate in the sale. 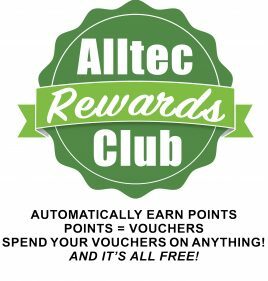 Email: info@alltec.co.uk.